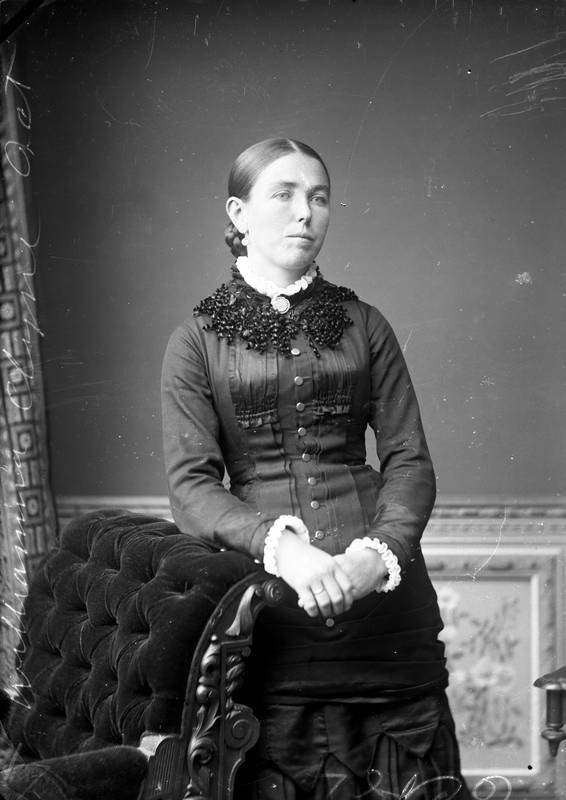 This is most likely Williamina Clyne, born 1860, daughter of George Clyne and Williamina Baillie. Sister of Isabella Clyne - JN09348PO74 and cousin of Isabella Baillie - JN06802PO57, daughter of James Baillie and Catherine Clyne. There is a striking resemblance, particularly between both Isabellas. Their parents are two sets of brothers and sisters.